Muscle man Tomas Bures has won Mr Universe, the competition which launched the career of Arnold Schwarzenegger. Tomas Bures is just under 1.8 m tall but weighs 105 kilos, none of it fat. 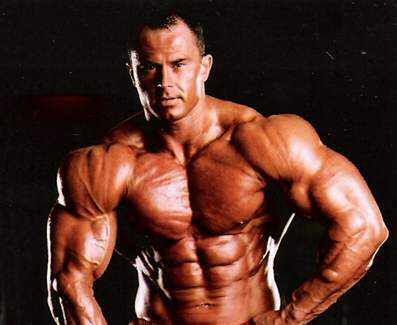 The Prague kulturista (bodybuilder) is pure, enormous, almost cartoon-like muscle. Bures works as a moulder in a Prague iron foundry, pumping up his enormous biceps, triceps and tree-trunk thighs in a small gym located in a Prague 4 primary school every evening. All that pumping paid off for the 31-year-old bodybuilder at the weekend, when he surprised many by winning the amateur category in the Mr Universe finals in the English town of Southport. Bures said never in his wildest dreams could he have imagined such a sensational success. Tomas Bures, He almost didn't make the finals, after getting into a fight on the street six weeks ago and injuring one of his biceps. But, says Bures, that setback may have helped him take the crown - as he had to focus on getting in shape quickly on the eve of the event. In the past he has been involved in a drug-taking controversy: he was handed a three-month ban last year for not making himself available for testing. No drug tests are carried out during the finals of Mr Universe. That of course is the competition which launched the career of the Austrian-born actor Arnold Schwarzennger, back in 1967; Arnie later won the professional category three times. Tomas Bures - the first ever Czech Mr Universe - says he doesn't plan to turn pro and is already back at work at the foundry, and the gym.